Nowadays, people live in a society that has fuelled the growth of information delivered across many communication channels. Technology has enabled the ‘knowledification' of our society (providing information through digital means). Undoubtedly, the Internet is the world's largest communication network which has ported data across various conduits to provide information and in many ways, continues to shape us as a society. Information if available '24/7' often contributing towards technological connectivity and technological anxiety. Some of the key factors which have contributed to this are the sense of information availability and searchability. Moreover, digital search has assumed a position of central importance in the way that people access and use online information and services in everyday life. In this article, the author examines the dominance of search, the power it presents to those who control it, its role in shaping access to information, and its capacity to function as a reflection of our society. By shaping both what people know and how people know it, search engines and their organisations are able to wield an immense amount of social power. In doing so, the author revisits the concept of search and unmasks its ability to act as a social control or gatekeepers of information which shapes society. 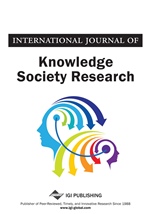 The contribution of this paper is summarised in the Search Engine Success Model which examines how society is shaped through search engine organisations who are gatekeepers of information. Information and communication technology (ICT) has become an important catalyst for 21th social transformation, most notably with radical technical advances in the 20th century to enhance human capabilities (Grübler, 2003). ICT plays a central role in coordinating and delivering value within a complex network of integrated actors (Basole & Rouse, 2008; Carroll, 2012). There are several key drivers for ICT developments. These include the need for greater access, participation, responsibility, and accountability towards information from government, organisations, and society (for example, Tapscott & Caston, 1993; Fuchs, 2009; Van Dijk, 2012; Graham et al., 2013). Ultimately, as information consumers, we play a much more central role in fuelling the on-demand need for ICT-enabled services (Weber & Kauffman, 2011). In addition, there has been growing interest in harnessing more openness towards information. For example, in more recent years, the notion of ‘open source’ (Weber, 2004) and ‘open data’ (Auer et al., 2007) has received growing attention suggesting that data ought to be better linked and freely available to uses and republish without any restrictions (Bizer et al., 2009). Never before have we, as a society, become so immersed in sharing and sourcing information to inform our everyday decisions in this ‘global information society’ (Webster, 2007). For example, information is now freely available online to find friends, to review a book, to find a specific venue, to listen to music, or to explore academic publications. Information is now so readily available, so much so that some commentators propose that privacy will be a privilege (for example, Brin, 1999; Solove, 2004). Thus, information being ported across ICT channels has become an extremely valuable resource in modern society. However, at the heart of all of this lies a significant theoretical gap which fails to examine the social consequences of digital information search.